While OCT is widely utilized in other industries, its use in 3D printing is a new concept. Axsun has added OCT imaging capabilities to the printhead of industrial 3D printers to enable real-time, high-resolution scanning of each layer as it is being deposited. Please tell us a bit about Axsun Technologies: Who you are and what you do? 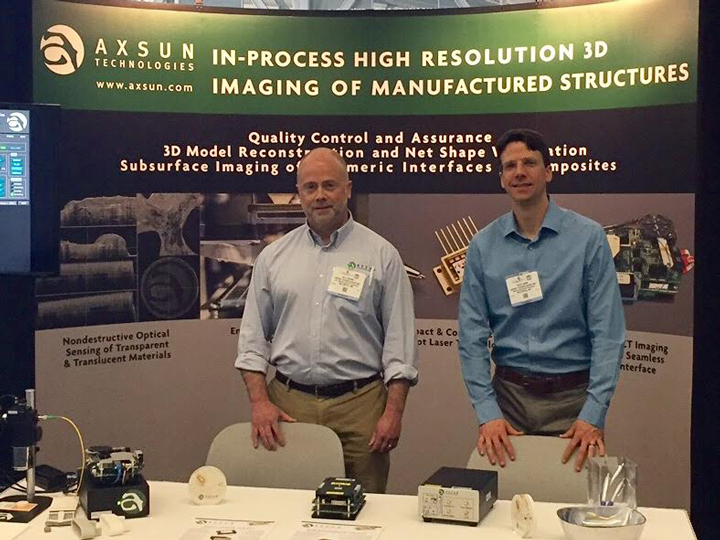 Jonathan Hartmann: Axsun Technologies is a Massachusetts-based advanced photonics products manufacturer. We design and manufacture advanced photonics products based on MEMS (microelectromechanical) systems and other micro-scale optical devices. Our unique technology enables the highest system performance in the most compact and cost-effective formats in a variety of applications in the medical device and industrial markets. Axsun Technologies is developing applications that use Optical Coherence Tomography (OCT) imaging capabilities as a solution to challenges in additive manufacturing and 3D printing. What is Optical Coherence Tomography (OCT) Technology? OCT is similar to ultrasound imaging, but uses light waves, not sound waves to generate a high-resolution image. OCT is a non-contact and non-destructive imaging modality that uses low-intensity infrared laser light to determine distances along the beam path. Topographic (surface) and tomographic (cross-sectional) images are generated –much like ultrasound, but without the need for pesky gels to contact the sample and with much higher resolution and precision – making OCT an ideal sensing technology for additive manufacturing. Where is OCT technology currently used? Optical Coherence Tomography is widely used in ophthalmology and cardiology imaging. It is used as an imaging tool to measure important structures in the retina and inside the heart. OCT provides doctors with a high-resolution image and enables critical measurements with precise accuracy. How is OCT applicable to Additive Manufacturing and 3D printing? Will we be seeing 3D printers with this technology in the near future, and does OCT impact the speed of 3D printing? While OCT is widely utilized in other industries, its use in 3D printing is a new concept. Axsun has added OCT imaging capabilities to the printhead of industrial 3D printers to enable real-time, high-resolution scanning of each layer as it is being deposited. This creates a closed feedback loop with several possible advantages, all without a significant increase in print time. With the high cost of industrial printers, expensive raw materials, and time-consuming builds, the ability to ensure accurate, defect-free printed parts is an important problem to solve. What problems would this help solve in 3-D printing? Will we be seeing 3D Printers with this technology, or are there other applications or future developments for OCT that are related to advanced manufacturing industry? That is why Axsun recently attended the Rapid + TCT 2017 Conference in Pittsburgh, PA. We are interested in learning more about the challenges that various technologies have that may benefit from a closed loop, real-time feedback system. This system would allow a manufacturer to identify any defects of a layer in real-time, and is unique in its ability to simultaneously image optically clear, translucent, and specular materials that can be difficult or impossible for traditional camera systems and machine vision algorithms. How much resolution does OCT technology have? What about signal to noise ratio and footprint? OCT resolution ranges from 5µm up to 30µm, depending on the system configuration and the need to balance resolution with other constraints like depth-of-field and working distance. OCT can generate images for a wide range of material types from transparent to highly reflective. The optical signal-to-noise ratio can be exceptionally high – over 110 decibels – but in practice is limited by the dynamic range of the digitization electronics to about 40dB. Axsun’s Integrated OCT Engine has a very compact footprint – a box approximately 4” x 5” x 8” – which allows it to be easily bolted-on to existing printer systems. It is designed to be compatible with a wide variety of scanners to fit the application and workflow-specific requirements of the numerous 3D printing approaches available today. How can I learn more about OCT systems and explore the opportunity to integrate a closed loop feedback system into my printing technology? Visit www.axsun.com. Or call us any time. Feel free to reach Bill Ahern at Axsun 978-439-3419 bahern@axsun.com or Nate Kemp at Axsun at 978-439-3565 nkemp@axsun.com We have an incredible technical sales and marketing team, and an outstanding group of engineers who have deep experience in working with our customers to understand technical needs and help solve the complex challenges of developing novel technologies. 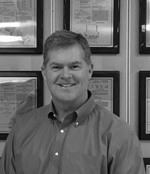 Mr. Hartmann brings over 25 years of leadership experience in General Management, Sales, Marketing, Strategy and Business Development in the Technology and Medical Device Industries.